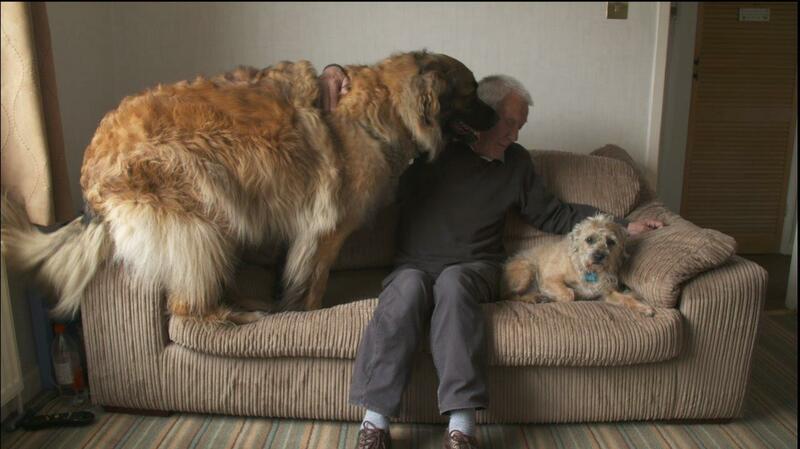 Family: Bear lives with Dave, Lucy and their Border Terrier Barney. 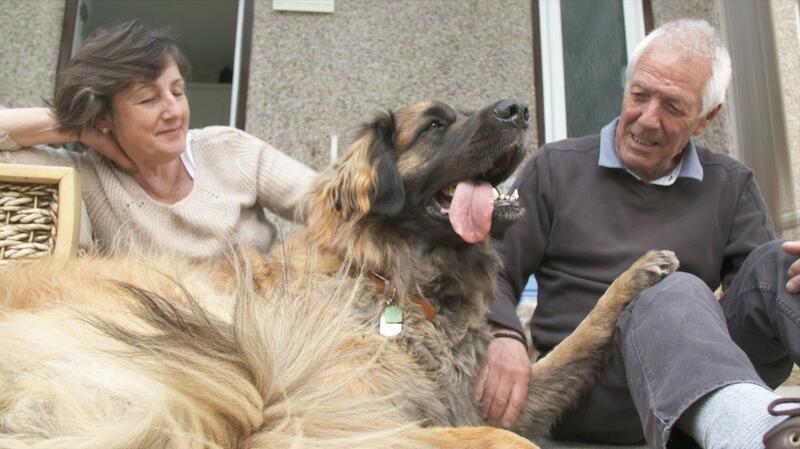 When Dave retired, he decided it was the right time to bring Bear into their life, a nice ploddy calm dog to walk along nicely with! Lucy and Dave say that Bear is like one of their children. Her Story: Bear was diagnosed with a cancerous tumour in her forearm and were referred to Professor Noel Fitzpatrick’s Cancer Hospital in Guildford. 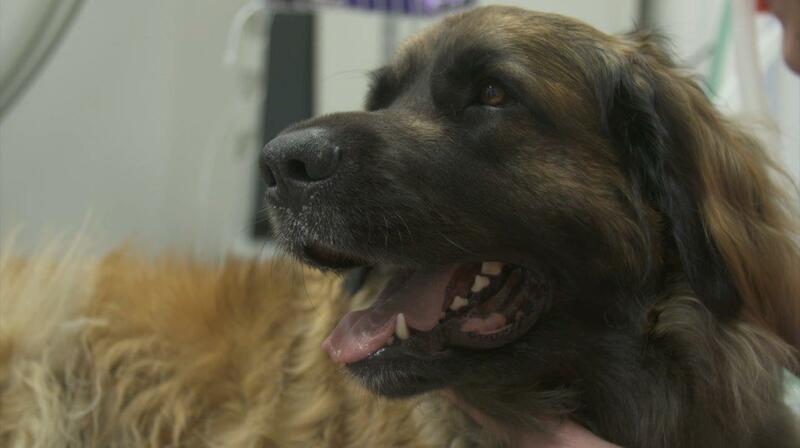 The family wanted to learn more about the possibility of treating Bear’s tumour by removing the affected bone and replacing it with a metal implant called an endoprosthesis. 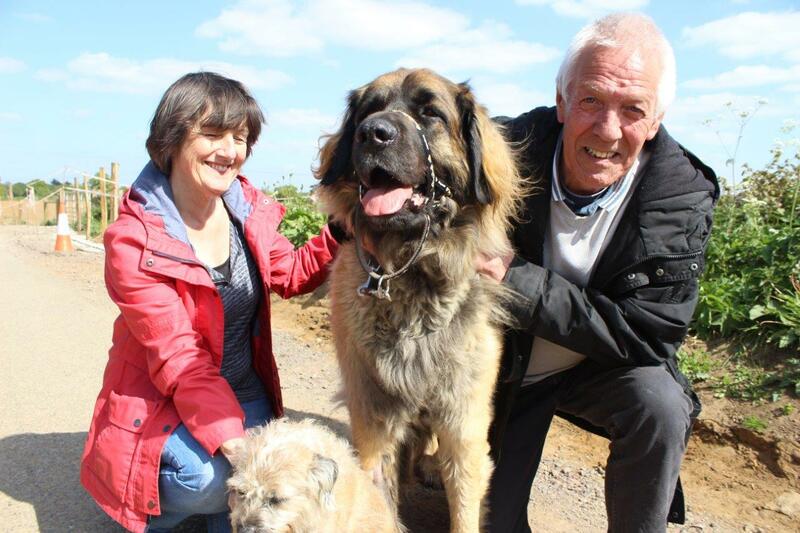 Noel explained that the surgery was not a cure for cancer and that at anytime it could return despite the treatment, But Dave and Lucy wanted to give Bear the chance to live out the remainder of her days on four legs and without pain. Solution: Noel took Bear to the operating theatre and underwent the complex surgery to remove the tumour and replace it with the complicated metal implant. 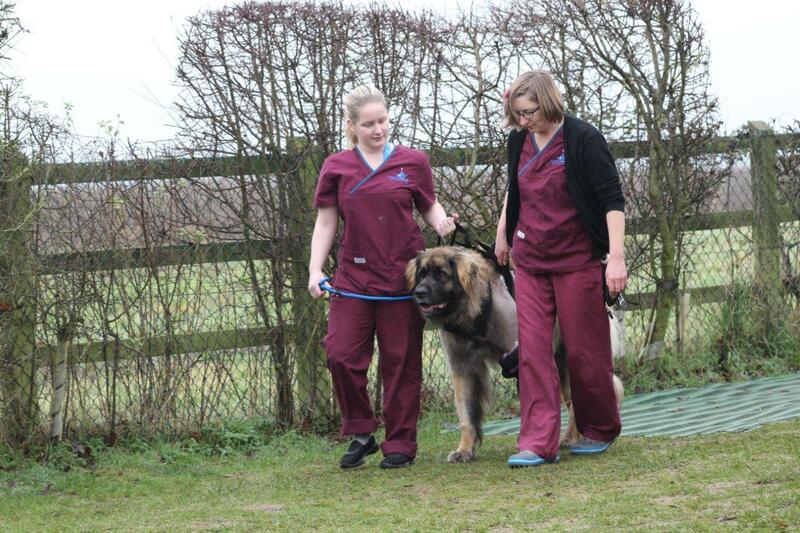 Outcome: Within a few days of the surgery, Bear was able to put her weight on the leg and was getting around well. She was able to go home with Lucy and Dave to continue her recovery. A few weeks later she returned for a checkup to see how she was getting on and Lucy and Dave remarked how well she was within herself. They didn’t want to get their hopes up as they feared that scans at the practice may reveal that the cancer had spread. Noel had good news for them, however – there was no visible sign that the cancer was spreading at that time, and even better, the implant looked great and had new bone growth that would stabilise it. Dave and Lucy were overjoyed at the news! Big beautiful Bear! Though we do not have a crystal ball and don’t know what lies ahead, this lovely girl lives each day to the full. For Dave and Lucy each day with Bear is special. We are so pleased to have been there for this dedicated family and have been able to give them the opportunity to have choices where it might not have seemed possible.